If you are looking at Belize tours and don’t know what to do, the Lamanai tour is a no-brainer if you need a one day tour out of Belize City. This tour is offered every day of the year by several tour companies, and they pick up and drop off at all Belize City hotels, so you may be grouped with others from other hotels. A 1-1/2 hour bus ride takes you north to the New River, only 11 miles shy of the town of Orange Walk. The banter of the guide can a little grating here, with bad speakers and Belize-Fun-Facts, but this is not an omen for the rest of the day, don’t worry. At the New River bridge you transfer into fast river cruisers that boat upstream about an hour to the ruins, stopping often to view exotic wildlife along the banks. The guides are always top-notch; on one trip our we saw about 15 different tropical birds including: jabiru stork, green-backed herons, northern jacana, olivaceous cormorants, and purple gallinules. Crocodiles and blooming water lilies were everywhere! Once you arrive at the ruins, lunch is served and the tour that follows includes excellent interpretation on the Mayan culture and history. 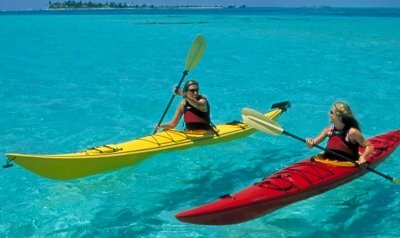 The tour is about $121/person and can be booked at your Belize City hotel. 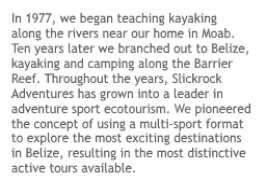 A slightly less expensive alternative is to call Discovery Expeditions directly. They will charge you about $105 pp, their number is: 011.501.223.0748. What to bring: binoculars (a must! ), money for the gift shop, rain and warm gear (the boat ride is cold, and if it rains you’ll get wet too), bug spray, your iPod for the boat ride (the engine is noisy). This is a fantastic tour, don’t miss it. 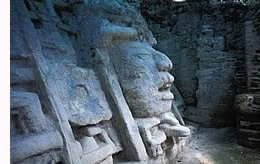 For more information on all Belize Mayan ruins visit this page on our website.